Boeing [NYSE: BA] has tapped Jeff Shockey to be vice president of Global Sales and Marketing for its Defense, Space & Security unit, effective immediately. 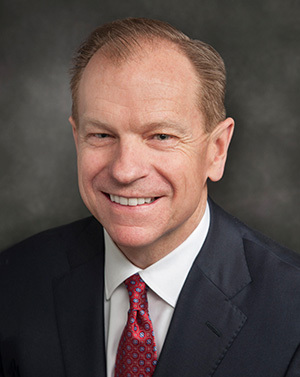 Shockey, who joined Boeing in 2016 as vice president of Federal Affairs and International Policy, succeeds Tom Bell, who took a position at another company. "Jeff knows our strategy, our customers, and our people," said Leanne Caret, president and CEO of Defense, Space & Security. "He is an amazing professional, and I look forward to working even more closely with him as we compete, win, and grow our business." Prior to joining Boeing, Shockey was the staff director for the House Permanent Select Committee on Intelligence, managing partner at government relations firm Shockey Scofield Solutions (S3 Group), and minority staff director for the Appropriations Committee of the House of Representatives. He holds graduate and undergraduate degrees from California State University at San Bernardino. Of Bell, Caret said "We thank Tom for his service to Boeing. He is a strong and a passionate leader, and we wish him all the best going forward."